Transitioning to DevOps requires a change in culture and mindset. At its simplest, DevOps is about removing the barriers between two traditionally siloed teams, development and operations. In some organizations, there may not even be separate development and operations teams; engineers may do both. With DevOps, the two teams work together to optimize both the productivity of developers and the reliability of operations. They strive to communicate frequently, increase efficiencies, and improve the quality of services they provide to customers. They take full ownership for their services, often beyond where their stated roles or titles have traditionally been scoped by thinking about the end customer’s needs and how they can contribute to solving those needs. Quality assurance and security teams may also become tightly integrated with these teams. Organizations using a DevOps model, regardless of their organizational structure, have teams that view the entire development and infrastructure lifecycle as part of their responsibilities. There are a few key practices that help organizations innovate faster through automating and streamlining the software development and infrastructure management processes. Most of these practices are accomplished with proper tooling. One fundamental practice is to perform very frequent but small updates. This is how organizations innovate faster for their customers. These updates are usually more incremental in nature than the occasional updates performed under traditional release practices. Frequent but small updates make each deployment less risky. They help teams address bugs faster because teams can identify the last deployment that caused the error. Although the cadence and size of updates will vary, organizations using a DevOps model deploy updates much more often than organizations using traditional software development practices. Organizations might also use a microservices architecture to make their applications more flexible and enable quicker innovation. The microservices architecture decouples large, complex systems into simple, independent projects. Applications are broken into many individual components (services) with each service scoped to a single purpose or function and operated independently of its peer services and the application as a whole. This architecture reduces the coordination overhead of updating applications, and when each service is paired with small, agile teams who take ownership of each service, organizations can move more quickly. However, the combination of microservices and increased release frequency leads to significantly more deployments which can present operational challenges. Thus, DevOps practices like continuous integration and continuous delivery solve these issues and let organizations deliver rapidly in a safe and reliable manner. Infrastructure automation practices, like infrastructure as code and configuration management, help to keep computing resources elastic and responsive to frequent changes. In addition, the use of monitoring and logging helps engineers track the performance of applications and infrastructure so they can react quickly to problems. Continuous integration is a software development practice where developers regularly merge their code changes into a central repository, after which automated builds and tests are run. The key goals of continuous integration are to find and address bugs quicker, improve software quality, and reduce the time it takes to validate and release new software updates. Continuous delivery is a software development practice where code changes are automatically built, tested, and prepared for a release to production. 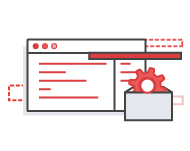 It expands upon continuous integration by deploying all code changes to a testing environment and/or a production environment after the build stage. When continuous delivery is implemented properly, developers will always have a deployment-ready build artifact that has passed through a standardized test process. The microservices architecture is a design approach to build a single application as a set of small services. Each service runs in its own process and communicates with other services through a well-defined interface using a lightweight mechanism, typically an HTTP-based application programming interface (API). Microservices are built around business capabilities; each service is scoped to a single purpose. You can use different frameworks or programming languages to write microservices and deploy them independently, as a single service, or as a group of services. Infrastructure as code is a practice in which infrastructure is provisioned and managed using code and software development techniques, such as version control and continuous integration. The cloud’s API-driven model enables developers and system administrators to interact with infrastructure programmatically, and at scale, instead of needing to manually set up and configure resources. Thus, engineers can interface with infrastructure using code-based tools and treat infrastructure in a manner similar to how they treat application code. Because they are defined by code, infrastructure and servers can quickly be deployed using standardized patterns, updated with the latest patches and versions, or duplicated in repeatable ways. Developers and system administrators use code to automate operating system and host configuration, operational tasks, and more. The use of code makes configuration changes repeatable and standardized. It frees developers and systems administrators from manually configuring operating systems, system applications, or server software. With infrastructure and its configuration codified with the cloud, organizations can monitor and enforce compliance dynamically and at scale. Infrastructure that is described by code can thus be tracked, validated, and reconfigured in an automated way. This makes it easier for organizations to govern changes over resources and ensure that security measures are properly enforced in a distributed manner (e.g. information security or compliance with PCI-DSS or HIPAA). This allows teams within an organization to move at higher velocity since non-compliant resources can be automatically flagged for further investigation or even automatically brought back into compliance. Organizations monitor metrics and logs to see how application and infrastructure performance impacts the experience of their product’s end user. By capturing, categorizing, and then analyzing data and logs generated by applications and infrastructure, organizations understand how changes or updates impact users, shedding insights into the root causes of problems or unexpected changes. Active monitoring becomes increasingly important as services must be available 24/7 and as application and infrastructure update frequency increases. Creating alerts or performing real-time analysis of this data also helps organizations more proactively monitor their services. Increased communication and collaboration in an organization is one of the key cultural aspects of DevOps. The use of DevOps tooling and automation of the software delivery process establishes collaboration by physically bringing together the workflows and responsibilities of development and operations. Building on top of that, these teams set strong cultural norms around information sharing and facilitating communication through the use of chat applications, issue or project tracking systems, and wikis. This helps speed up communication across developers, operations, and even other teams like marketing or sales, allowing all parts of the organization to align more closely on goals and projects. The DevOps model relies on effective tooling to help teams rapidly and reliably deploy and innovate for their customers. These tools automate manual tasks, help teams manage complex environments at scale, and keep engineers in control of the high velocity that is enabled by DevOps. 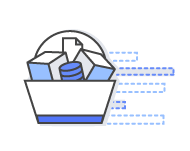 AWS provides services that are designed for DevOps and that are built first for use with the AWS cloud. These services help you use the DevOps practices described above.